Kaiser Permanente, the largest nonprofit HMO in the U.S., has used its clout as a high-volume purchaser to demand safer materials than what was previously on the market. 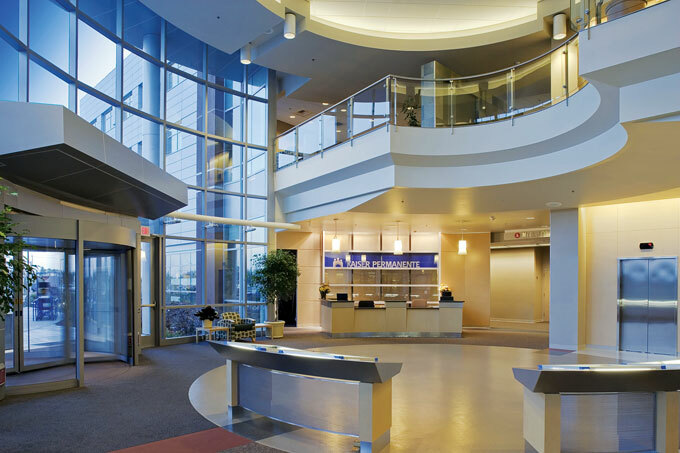 This Kaiser medical center in Modesto, California, includes PVC-free carpeting that Collins & Aikman developed at Kaiser’s request. Reviewing a new solid-surface counter material for potential listing in our GreenSpec directory, BuildingGreen’s editors start by trying to find out what it’s made of. The company’s product literature and website describe it only in the most general terms, so we turn to the material safety data sheet (MSDS) for a closer look. GreenSpec, and there’s usually no information on environmental concerns or precursor ingredients that might be released during manufacturing but are not part of the finished product. Fortunately, at least for the generic ingredients (those that aren’t proprietary mixtures), the MSDS lists Chemical Abstracts Service (CAS) numbers, which we can use to search other chemical databases from government agencies and nongovernmental organizations. If any of the chemicals turns up on someone’s “red list” or a listing of “chemicals of concern,” we’ll be more inclined to not include the product—depending on the degree of concern, what the alternatives are, and what other life-cycle issues are in play. So far, so good—but there are limits to our research. There are 60,000 to 80,000 chemicals in use today, and the vast majority of these have never been tested for environmental health and safety concerns. Under federal law, chemicals (except for pharmaceuticals and chemicals marketed as pesticides) are considered safe unless proven otherwise—this means that hazards are often already in common use before they are recognized as hazardous. GreenSpec editors follow, though with the tighter fees and reduced staffing levels of today’s economic climate, it gets ever harder to spend that time. New resources are emerging to make the work easier, however. This article offers some methods and tools for looking into chemical ingredients, and a framework for exploring these issues. Antimicrobial Chemicals in Buildings: Hygiene or Harm?